Race organizers have picked a new class of boats for the contest, swift 72-foot catamarans. 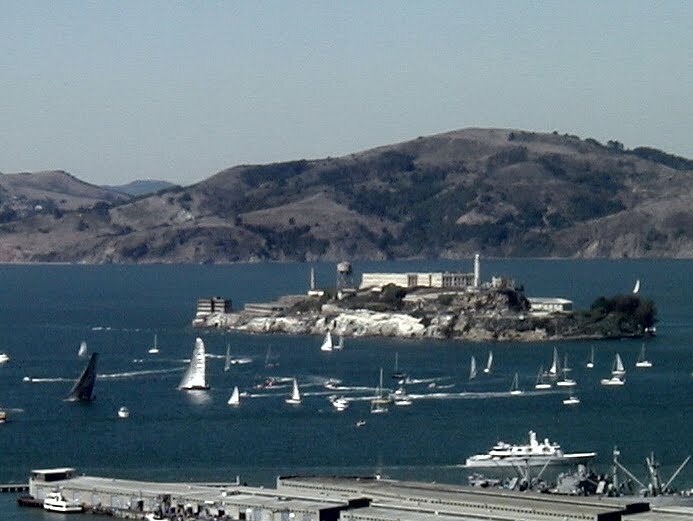 Some enthusiasts are gushing at the thought of the crafts ripping around Alcatraz in consistent winds, cantilevered at an angle as sailors lean off the side, with the Golden Gate Bridge in the background. 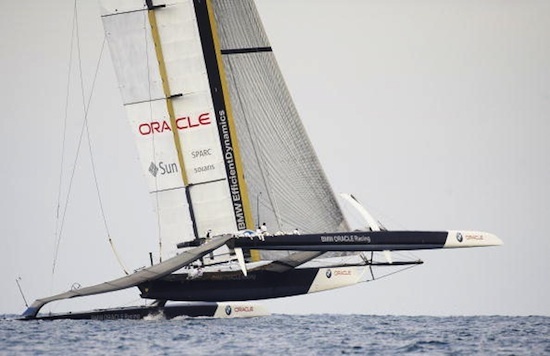 It's a made-for-TV image that could easily appeal to sailing's largely untapped market in this country, and Ellison's group has said it wants to boost the sport's popularity, visibility and sponsorship potential by utilizing new media and having cameramen onboard the boats. "We sought a venue that fulfills our promise - to showcase the best sailors in the world competing on the fastest boats," Richard Worth, a race official, said in a statement. "And hosting the America's Cup in San Francisco will realize that promise." This is going to be one heck of an economic boon to the City, and enabling us to upgrade rotting piers along the waterfront that we otherwise could never afford to fix. This was such an obvious good thing, that even our dysfunctional Board of Supervisors had to get behind it, despite the usual carping from the batshit left in the City who can't stand the idea that Larry Ellison might make some money on the deal. Of course the coolest thing about all this, is that we will have a skybox seat to view the racing from the terrace of our Russian Hill condo. We had a little preview of what we can expect when Ellison's Oracle entry raced against America's Cup winner Alinghi in the Moet Cup Challenge Race a few years ago. Between now and then we'll need to pick up some good quality binoculars and a longer lens for the camera. It's all good. Happy New Year indeed.